Wikipedia is the fifth most visited website on the Internet and a common starting point for all sorts of research. But according to the Wikimedia Foundation, the organization that runs Wikipedia, editors are between 84 and 91 percent male. While the reasons for the gender gap are up for debate, the practical effect of this disparity is not. There are not enough female Wikipedia editors, and as the New York Times has pointed out, this leads to an underrepresentation of contributions about women. Join University Libraries from 1-4 p.m. Saturday, March 10, in Mullins Library Room 102 for the Northwest Arkansas Art and Feminism Wikipedia Edit-a-thon, a communal updating of Wikipedia entries on female artists from Arkansas. 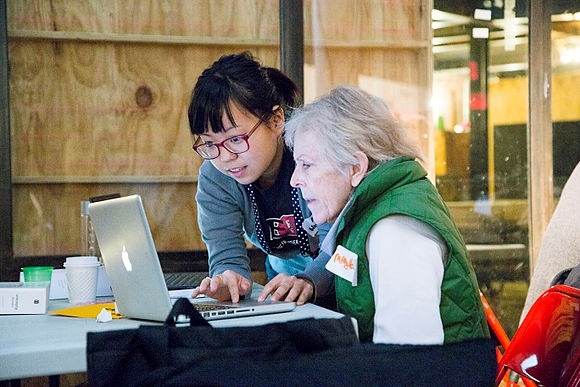 The Libraries will provide tutorials for beginner Wikipedians and offer expertise on varying types of edits, from adding photos to writing pages. A list of female artists from Arkansas will be provided, but suggestions are welcome and should be sent to Marianne Williams, librarian-in-residence for University Libraries, at mw052@uark.edu. Attendees are encouraged to bring their own laptop and power cord, but computers will be available for those who do not. People of all gender identities and expressions are invited to participate. This event is free and open to the public. "Just about everyone who uses the internet has encountered Wikipedia, and it's important to start addressing and changing the gender gap in information," said Williams. "I hope this event can empower people of all genders to start thinking about how information can be biased, and how they can work on how to fix that." The purpose of the Librarian-in-Residence program is to increase the diversity of professional staff at the University Libraries and to encourage the involvement of underrepresented groups in academic librarianship. Art and Feminism is a campaign that aims to improve coverage of cis and transgender women, feminism and the arts on Wikipedia.